Partner Logan Finerty takes his duty beyond just the numbers. He, along with the rest of the Finerty Team, strive to create enduring value through advanced planning techniques combined with a deeply instilled ethic of personal service. Focusing on individuals, endowments, and foundations, Logan works to find the best customized solutions for each client. Logan earned his B.S. in Business with a concentration in Finance from the University of Richmond. 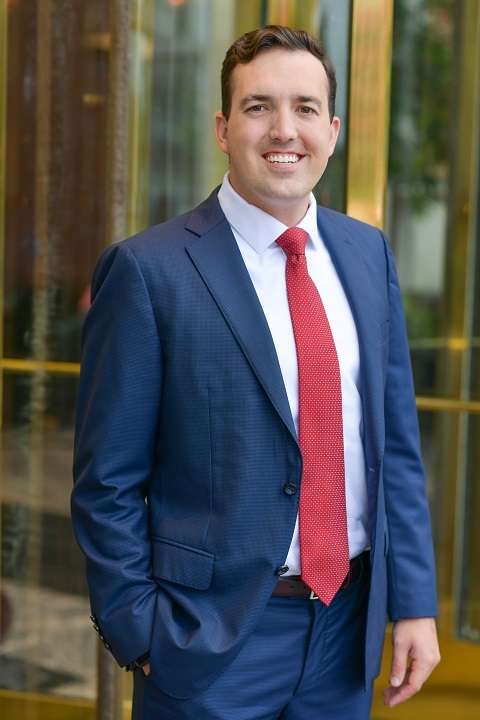 Logan started his career on Wells Fargo Advisors Fixed-income trading desk. He then joined the investment management firm Thompson, Siegel, and Walmsley in Richmond, VA as an Associate Equity Analyst. Since joining Moneta, Logan applies his expertise and experience to help sophisticated clients navigate complex financial decisions. Outside of Moneta, Logan is an ardent supporter of the St. Louis community. Most notably, he is serving the Friends of CharacterPlus (President), St. Louis Art Museum Board, and The Boys and Girls Club of Greater St. Louis Board, and John Burroughs School Alumni Board. He lives in Clayton with his wife, Adela. A St. Louis native, Logan was honored in 2016 by the St. Louis Business Journal as one of its 30 Under 30 winners. Logan also holds the Chartered Financial Analyst® designation and is a CERTIFIED FINANCIAL PLANNER™.